JANUARY 2019 BLOG POST By Melvin Monette-Barajas, President and Executive Director of Indigenous Education, Inc. The home of the Cobell Scholarship. 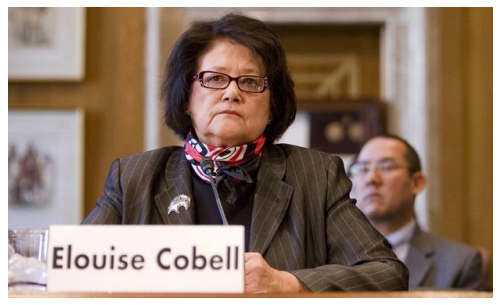 Here at Indigenous Education, Inc. we celebrate Elouise Cobell in many ways; but we also challenge young people to know her and her work. Before responding to application questions, applicants are urged to read her story then reflect on how their own education, community engagement and leadership activities can be informed by her dedication, perseverance and ties to community. Without her education and knowledge of accounting and banking, Elouise could not have discovered the problems with the system. She set out to quietly challenge an accounting practice but along the way her voice led her to many communities that heard her clearly state the issues. Rather than individually challenge the system, these communities supported Elouise’s growing voice in what would become her life’s work. 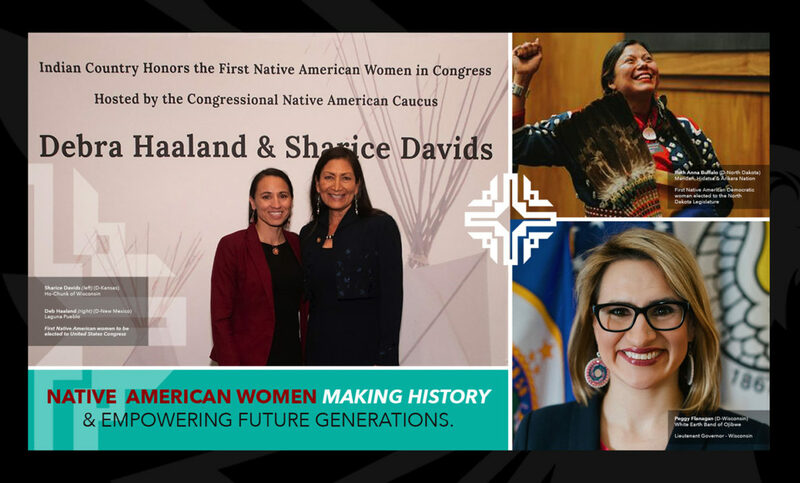 With recent national elections bringing Native women to the forefront of our country’s leadership, it’s important we take time to support them and use their leadership as a reminder that everyone in our community has capacity to effect real change in our communities. Four! Four Native women in community-elected positions of decision making and advocacy for all people. Native leadership, I have been taught, is to consider the whole community and needs of all, including Mother Earth, the four-legged, the winged-ones, and those that live in the water. This is the lens by which many Native leaders speak and act. While getting to an elected office requires a level of partisanship, doing the work through this lens requires being grounded in a sense of place and culture. 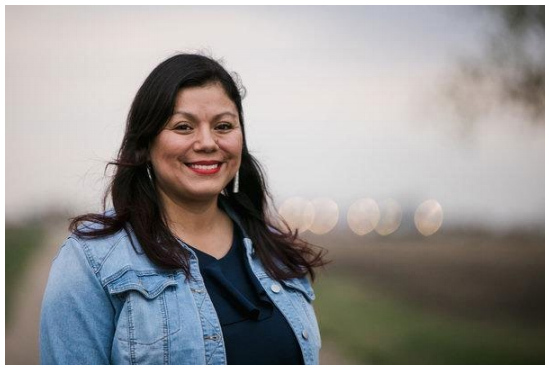 This is what we celebrate in these four women and the many other Native leaders in community leadership positions not being mentioned in social media. These individuals didn’t get elected simply by running for office. They have been engaged with the community for years. Not just the Native community but as we have learned, entire states where Native votes are few and voting districts with very few Native residents. 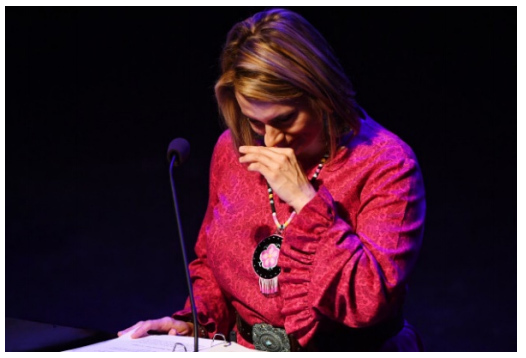 These women appealed to the masses, for the masses, and did so celebrating and honoring their Indigeneity, gender identity, career preparation, and sexual orientation, every chance they had. The Cobell Scholarship staff like to remind the public that we are “the scholarship different.” From the inception of the program, we deliberately set out to support students chasing the dream of a vocational diploma or certificate. Because, it’s vital for our communities to have doctoral, master and bachelor level leaders, we recognize that nation building includes those support services that keep a community running. Chase your dreams – we’ll work to support you. Ruth Buffalo recently gave us a comment to share with community members, “It is important no matter what age to always chase your dreams. Education can be one pathway to reaching your goal and serving our communities, and remember, nobody can take your education away. Remember, all programs are important; traditional and nontraditional such as vocational and certificate programs. 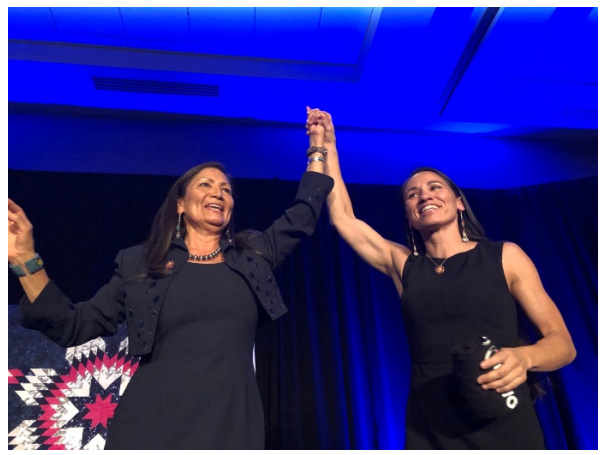 It is important that we stay empowered, have courage moving forward and that we use our indigenous lens while you are pursuing higher education.” It is through that indigenous lens that informs the unheard voice that Deb Haaland continues to reference. Quite often we hear, “Be the change you want to see” but let us alter that a bit to “Be the voice you want to hear” in your community. Someday you’ll tire of me reminding you of something my father said to me “What are you going to do about it?” Someday you’ll tire of me reminding you that my first professional boss, Dr. Leigh Jeanotte often challenged us to think, “…but is it the right decision for the students?” Don’t be afraid to use your voice to challenge; or, to act and think about community issues. Indeed, it could lead you to places you couldn’t even imagine. Congratulations to the four women we celebrate today and to all the Native leaders using a cultural lens in their decision-making processes. In addition, congratulations to those of you making the decision to engage in your community today and in the future.